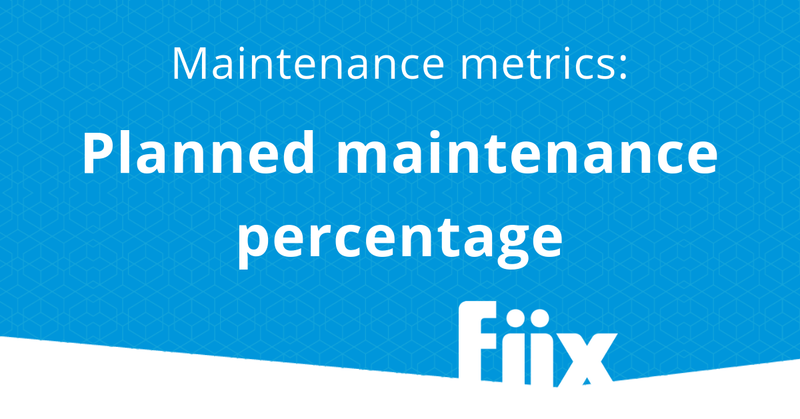 What is planned maintenance percentage? 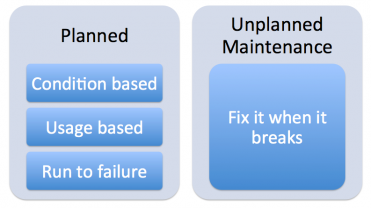 There are two types of maintenance–planned and unplanned. You can plan to service a system, inspect for wear, or plan to let a light bulb fail before you replace it. Either way, you consciously plan the maintenance. On the other hand, unplanned maintenance occurs unexpectedly. It’s commonly called breakdown or emergency maintenance, and it costs 3-9 times more than planned maintenance due to overtime, rushed parts, service call outs, scrapped production etc. Planned maintenance percentage (PMP) is used to measure a maintenance department’s performance by comparing the number of hours spent on planned maintenance, vs the total number of maintenance hours in a given period of time. It is the number of hours spent on planned maintenance activities in a given time period, divided by the total maintenance hours in that same period, expressed as a percentage. For example, if you spent 300 hours in one month on planned maintenance activities out of a total of 400 hours spent on all maintenance, then your PMP would be 75%. Organizations with best in class maintenance will spend 85% or more of their time performing planned maintenance. We can get more granular and break the 85% figure up further into planned maintenance types. The top performing organizations will do about 30% usage-based, 50% condition-based and the remaining planned run-to-failure. That leaves <15% of available time to perform unplanned breakdown maintenance. Where does your organization stand on the scale? How do the costs of doing planned maintenance relate to overall maintenance costs? 1. Better maintenance budgets: Predict costs in advance and level them out throughout the year. 3. Lower energy costs: Properly maintained equipment uses less energy. 4. Reduced production scrap: Planned maintenance can be written into the production schedule and performed when the equipment is dry. 5. Higher staff morale: Constantly running around, doing emergency repairs increases stress levels and lowers morale, whereas planned maintenance gives technicians time to properly prepare their work in advance, lowering stress levels and improving morale. How do you measure PMP in Fiix? You can measure planned maintenance percentage using the planned maintenance percentage report located in the business intelligence section in Fiix. The report will show you how many of your maintenance hours stemmed from planned scheduled maintenance. This report assumes all planned work comes from a scheduled maintenance record. The report sums the hours spent on scheduled maintenance as percentage of all maintenance hours. If you manually create work orders for planned maintenance, you can still extract the data from the CMMS software using the closed work order excel dump report. Let’s say you create a work order maintenance type for planned work. Run the closed work report and filter by that maintenance type + preventive maintenance and sum the hours. Repeat for all maintenance types and compare. Alternatively, use the SUMIF function to calculate the planned maintenance hours.